GREEN RIVER—Addyson Neff is one happy little ten-year old angler. 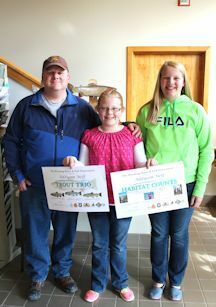 Neff is the first southwest Wyoming recipient of the Wyoming Youth Fishing Challenge. The Wyoming Youth Fish Challenge Program is a new program designed to provide youth with angling challenges that will expand their fishing skills. Youth under the age of 18 can complete up to 10 challenges, including Trout Trio, Cool Catch, Wyoming’s Wild One, Pan Pair, Habitat Counts, Percid Prize, Bass Battle, and the Hatchery Hop. 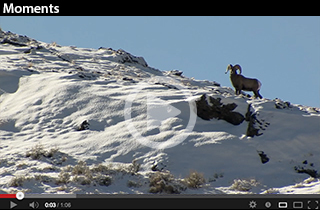 The program is based on the Cutt-Slam, a Wyoming Game and Fish Department program started in the 1990s by the late Green River Fisheries Supervisor Ron Remmick. This program is a collaboration of the Game and Fish, North Platte Walleyes, Trout Unlimited, 4-H Sportfishing, and the Wyoming Fly Casters. 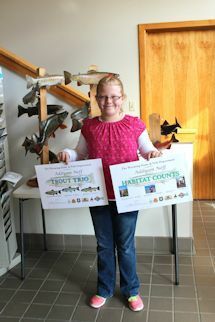 Addyson, a seven-year veteran angler, has already earned to challenges: the Trout Trio and Habitat Counts challenges. To complete the Trout Trio, participants are required to catch any three separate species of trout found in Wyoming, including brook, brown, rainbow, cutthroats, kokanee, tiger, splake, lake or golden. To complete the Habitat Counts, participants are required to catch a fish from three of the different habitats-lakes, beaver ponds, tail waters, small streams, and rivers. If youth anglers complete five or more challenges, Game and Fish will recognize them as a Master Angler. Participants who successfully complete any category will receive a collectible certificate featuring the fish they caught and recognizing them for their efforts. Scott Neff was the 56th person to earn the Cutt Slam award in 1999. “It looks like getting Wyoming Game and Fish Department certificates is in the blood,” Scott said. When asked what she liked about the fishing challenge, Addyson said she liked the fact that she had to ask other people for help to catch the fish. Verification sheets and a description of the program are available at the Green River Game and Fish Office and online at wgfd.wyo.gov . Photo Credit: :Lucy Diggins-Wold, WGFD *High resolution photos available upon request.